The kid in me gets so excited by poptarts! I always loved the ones with the frosting – strawberry was the BESTEST flavor! 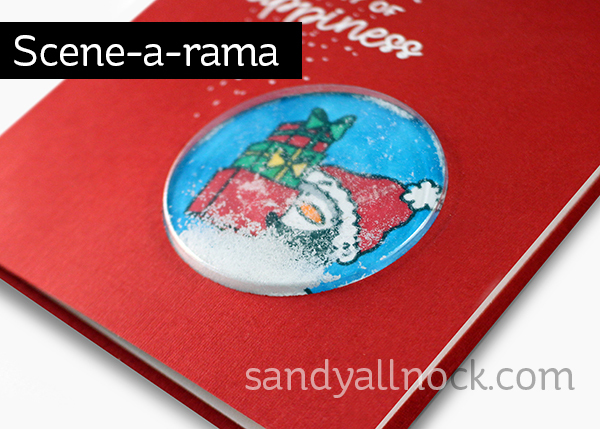 And the sprinkles!? Gah! They know how to sell a kid on loving a product! 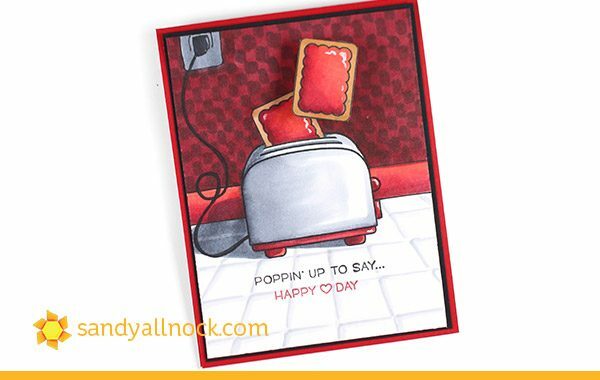 Of course that meant I had to make a card with Lawn Fawn’s new Let’s Toast set – with the poptarts! And I made one of my crazy backgrounds to go with it, but it’s super easy. 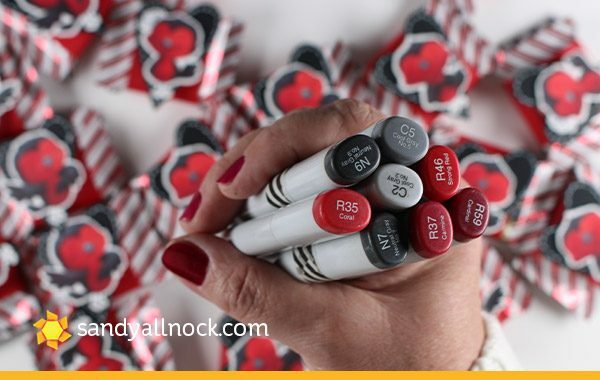 Marker colors were centered around reds and blacks/greys, but you could pick your own favorite color scheme for your kitchen scene. 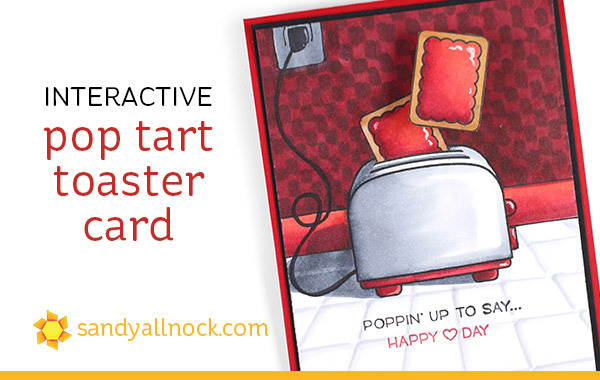 The action wobbler action makes the additional poptart jiggle with fun – it’s always a great way to get a card to be a toy instead of just a card. 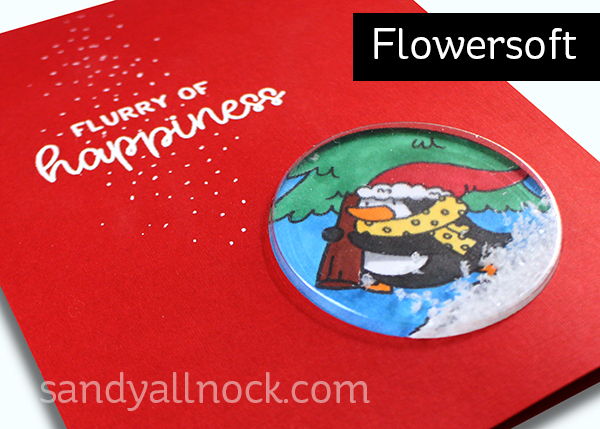 My little project today is so cute I decided to post it today….partly so I had an excuse to write a blog post and pass on a little heads up too! (See that after the video and pics!) 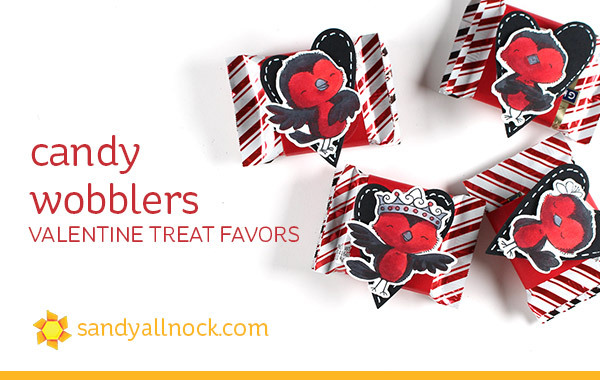 These were treats I gave out at a Christmas luncheon but made them so they’d also work for a Valentine’s project, since I’m pretty sure you’re done with holiday projects by now. And iif not…well, you’re done. Let’s just say that. Heehee! Watch the video below or click HERE to see it in HD on YouTube. 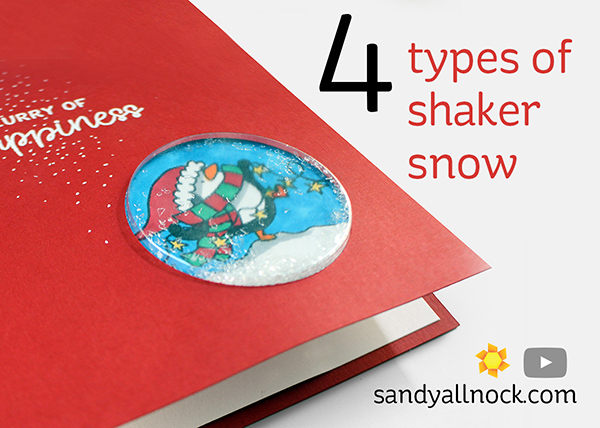 Whatever little critters you decide to put on the wobblers, they can be stamps or diecuts, or just pretty hearts. Whatever you want on yours! But these birds are just CUTE! Colors used on my little birdies…. Best little bird army ever! 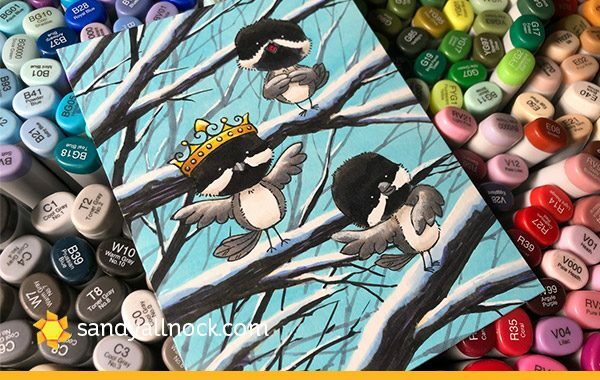 For my bonus card – I’ve turned the birds into chickadees and put them all among the snowy branches, singing their little hearts out! 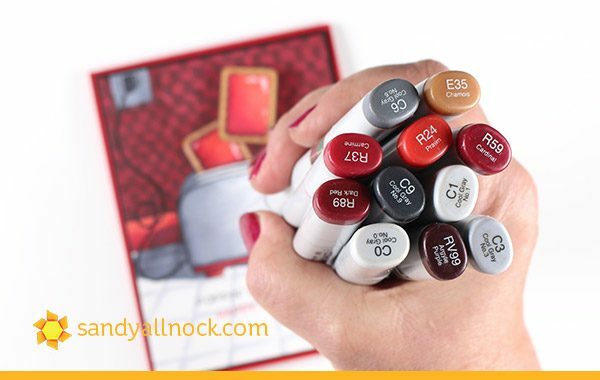 In case you don’t remember – tomorrow starts a 2 day sale on classes! That way if you’re giving (or receiving) a gift card for a present, the money goes a little further! 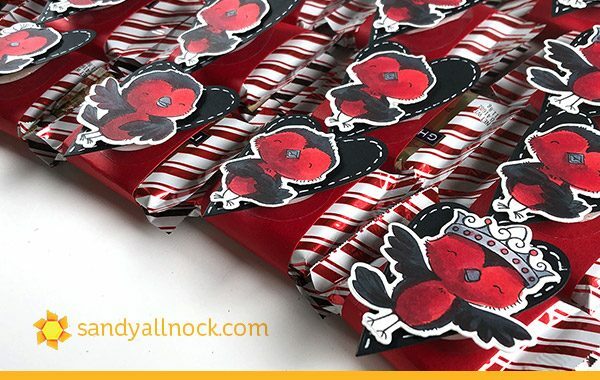 Buy a gift card now. 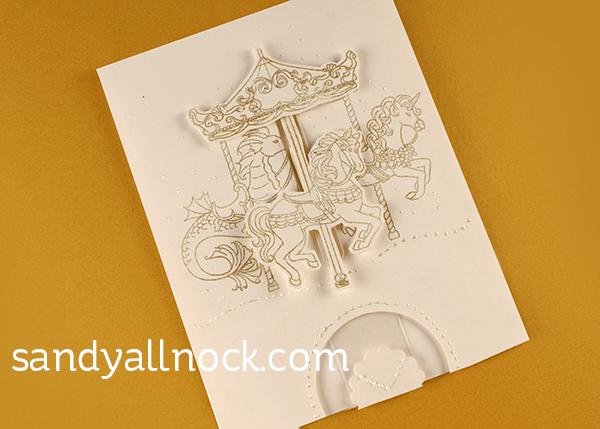 When I saw this carousel stamp set I knew it had to move and make a Moving Carousel Horse Card out of it. 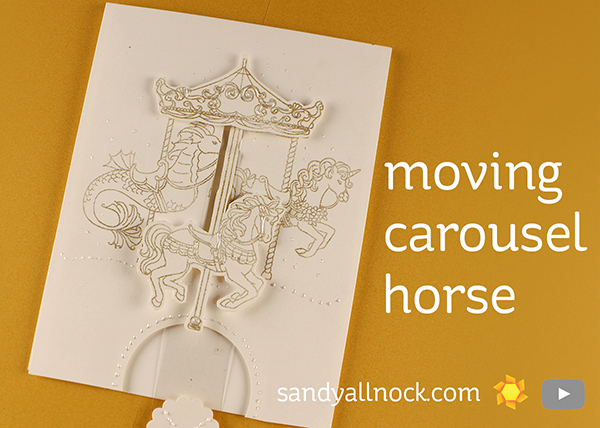 Up and down, up and down, like it did when I was a little girl and loved going around the carousel! It took me a while to figure out; but it works! Not a dramatic bit of movement but it’s still fun. Watch the video below or click HERE to see it in HD on YouTube. 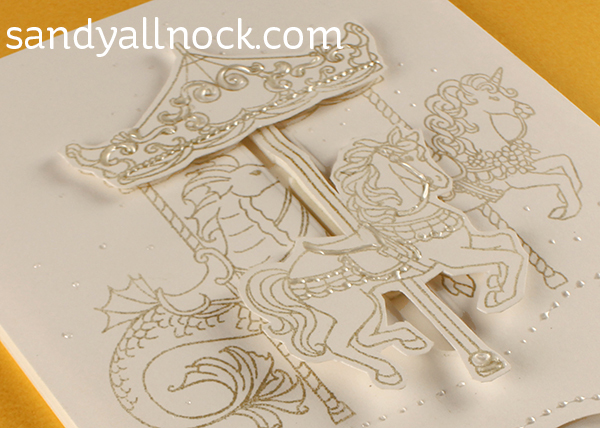 Look at all the pretty little pearlescent details! 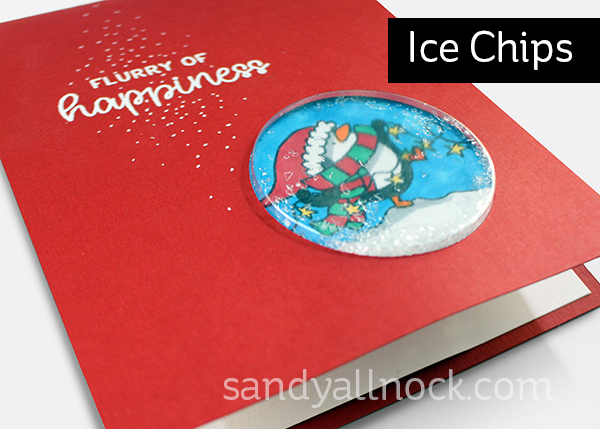 I know, I know…it’s early for Christmas crafts! 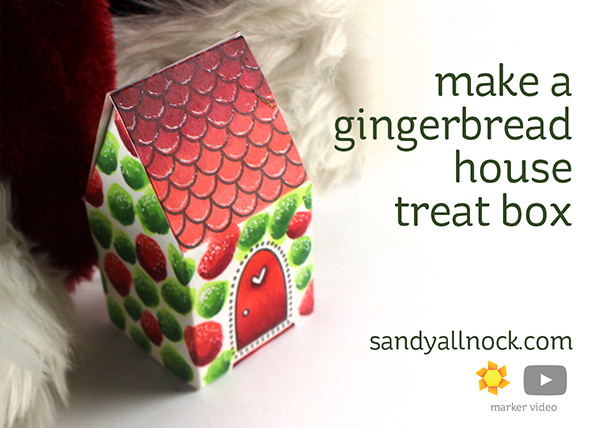 But part of my service to YOU is showing you what you might want to get by the time the holidays are here – and that won’t be all that far away! GAH!!! 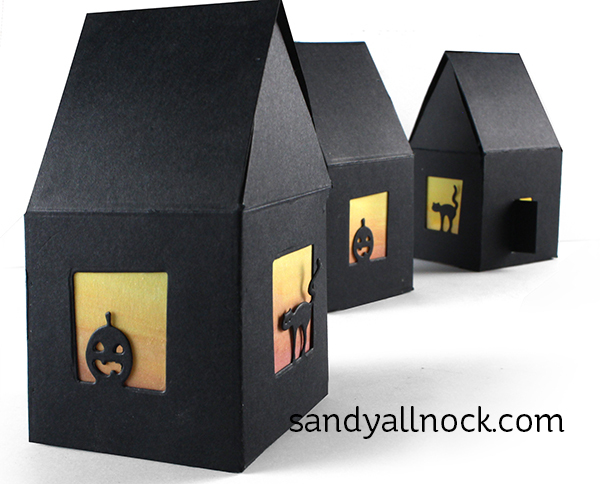 In today’s video I’ll show you a Christmas treat box – and over on Ellen Hutson’s channel I have the halloween version. Watch the video below or click HERE to see it in HD on YouTube. 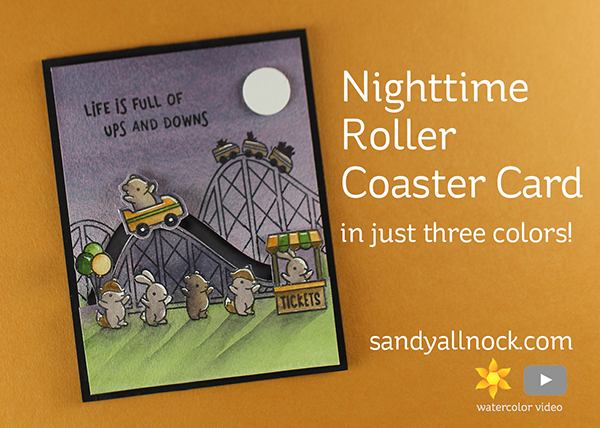 Nighttime Roller Coaster Card in just three colors! 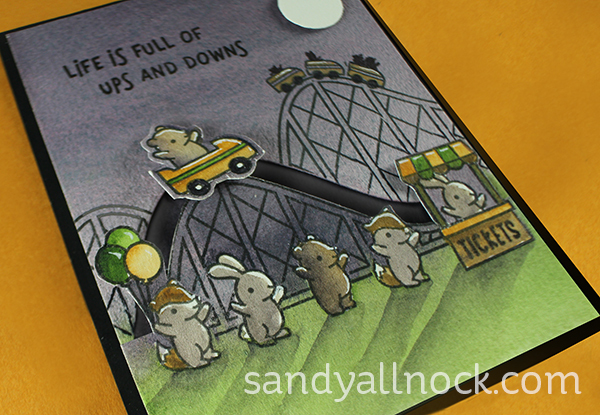 When I saw this little roller coaster stamp set, I just had to buy it and make a card – and it brought back so many memories of going to amusement parks! We usually went during the day but I always loved it when I was old enough to go in the evening – everything sparkled in the moonlight, and the rides were so much fun in the dark when you could go up high and see the twinkling lights! 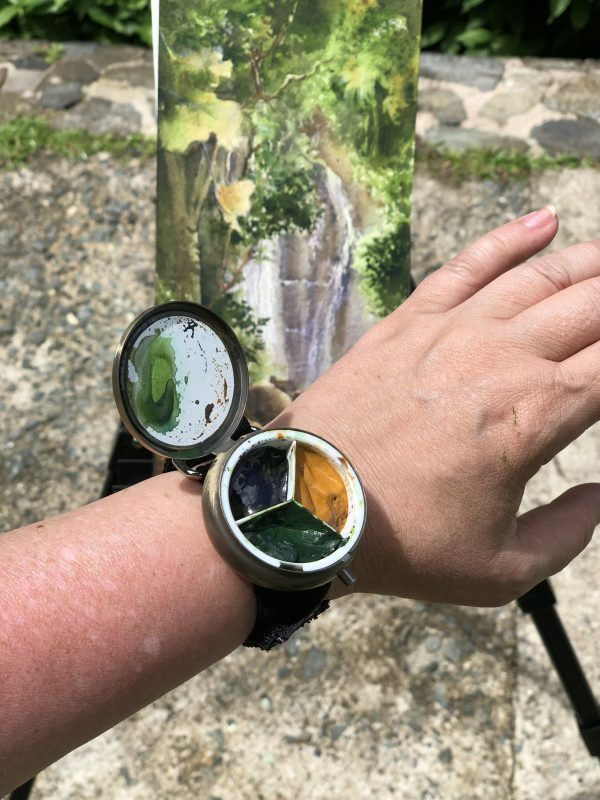 And I also thought the paint combo in my wristband palette would be perfect for this! 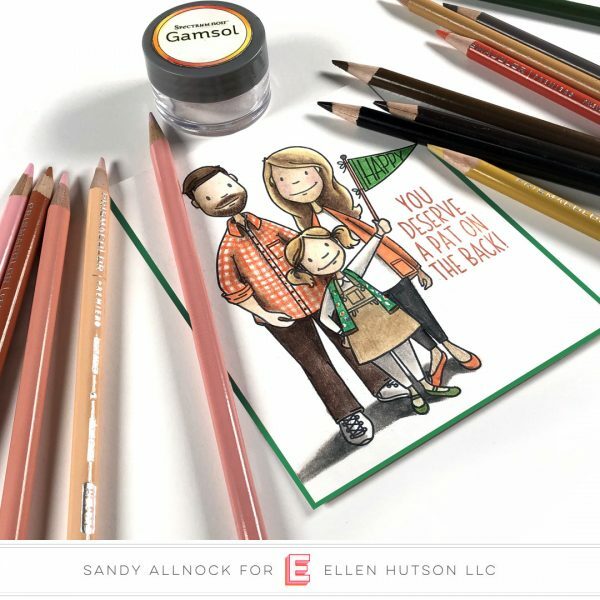 So there’s my card inspiration…hope you enjoy it! Watch the video below or click HERE to see it in HD on YouTube. Here’s the wristband palette out in the wild…. I want to go wait in line with them! Save me a ticket!